I have had this project (or something like it) rolling around for awhile now. 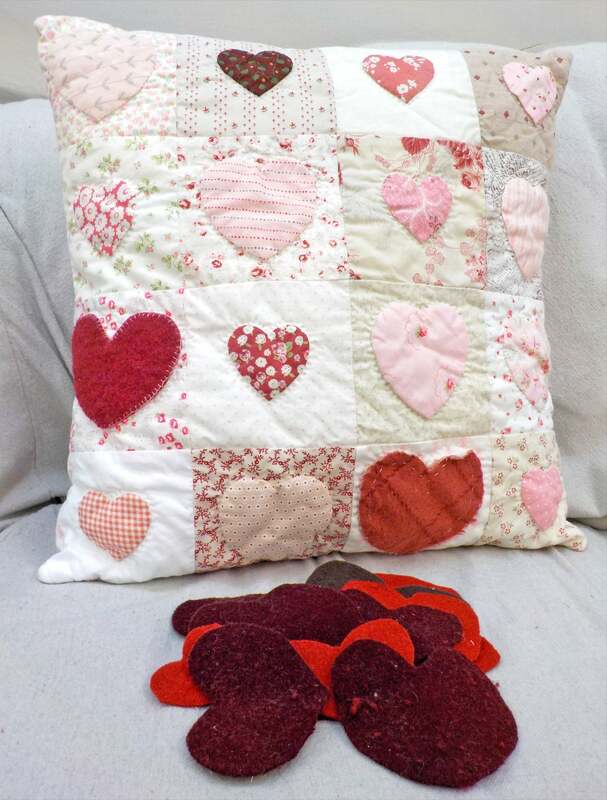 I knew i wanted hearts on fabric in a pillow...but i wasn't sure if i wanted to cut a stencil and stamp them, do some sort of patchwork heart, or applique. Well, with Valentine's Day a month away i decided that it was now or never. As a rule, i am not a fan of hearts...but after seeing projects with hearts on instagram...i knew it was high time i whipped up this project. So several days ago i dug through our off-cuts, leftovers, and scrap packs for pinks, reds, and backgrounds. I cut my pieces (scaling it back the 5 x 5 layout to 4 x 4). Over a cold January weekend...i whipped up this lovely. 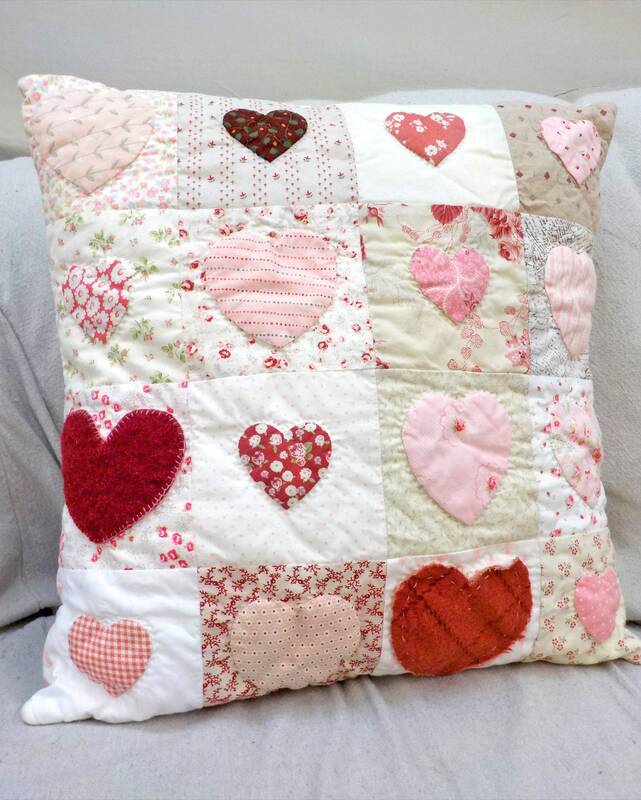 Cottage Hearts measures approximately 18 x 18 inches. 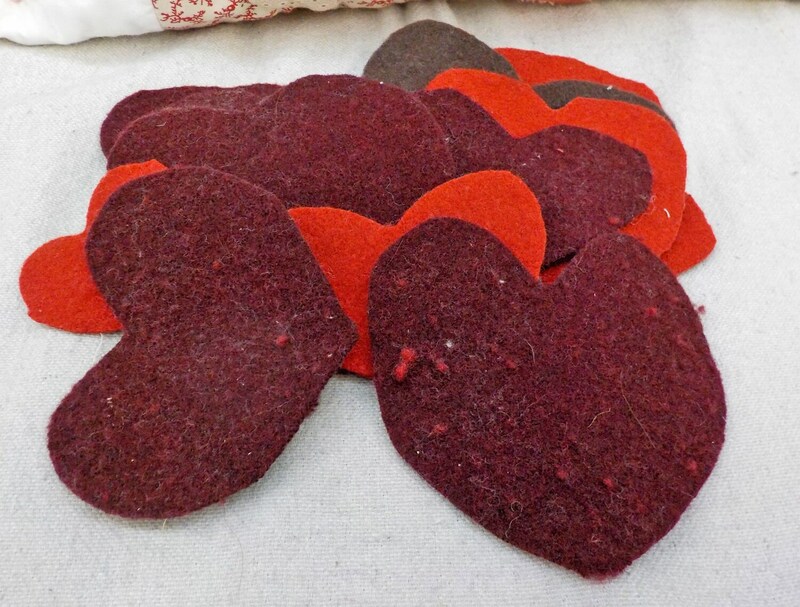 Features 1 vintage wool heart, 1 flannel wool heart, and 14 fabric hearts appliqued to 16 different background prints. This listing is for a Cottage Hearts kit.